The story of Clique Vodka begins in 2010 Latvia. It is exactly where Clique Vodka is being produced ever since. Being in spirits industry it can be hard and challenging. 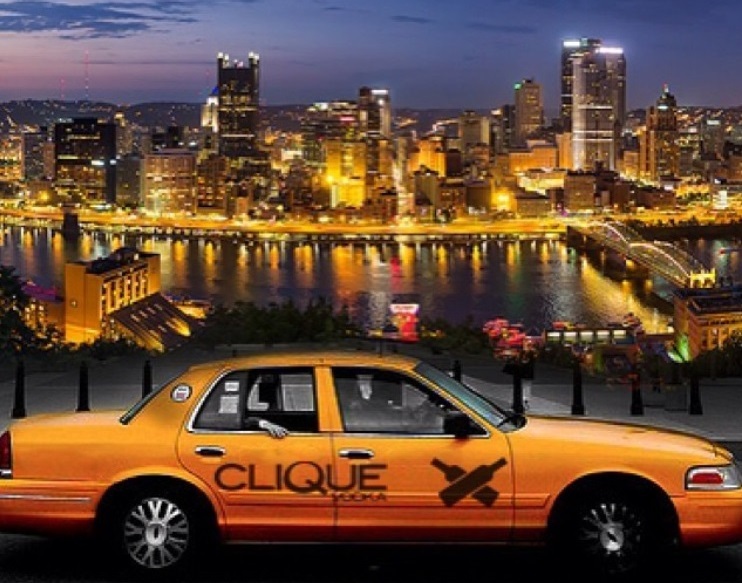 Today, I have a pleasure to talk to Frank Bachurski, vice president at Clique Vodka. Clique Vodka has been in the market for 6 years now. Is the brand still considered to be a startup, or it has all qualities to position itself as industry professional? Actually Clique Vodka in its current packaging has only been to market for around 3 years. We had a major rebrand/relaunch in 2013 when we released the new black bottle and completely revamped the product image as a whole. We saw an opportunity to take an amazing product and forge into a new niche market with our sleek new black bottled vodka project. With that being said that was really the start of what Clique Vodka is today. So though we are growing annually and expanding our footprint daily I would personally consider Clique Vodka a newer product just about to really spread its wings and gain some real traction. 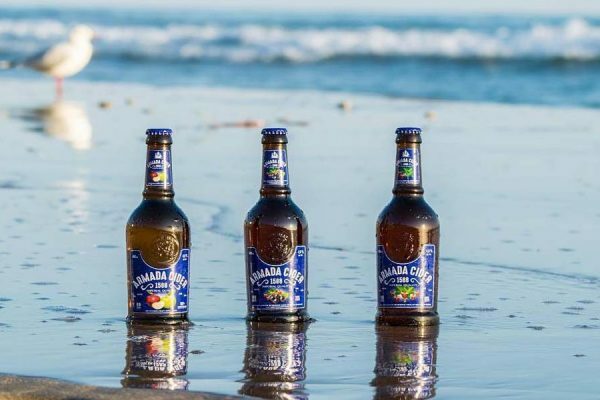 Become a successful brand in beverage industry requires hard work and sometimes luck. At the very beginning, did you expected to grow so fast? I have always had a tremendous amount of faith in Clique Vodka as a brand. The taste and quality of the juice in the bottle is second to none. And with my marketing background I knew that what we had visually was something special. But the spirits industry is a big one with a lot of big player in it and it can be tough to keep up. I think what makes us stand out, aside from the product’s quality, is the hands on approach and commitment from our team. We are very proactive when it comes to interacting with our consumers and audience. We take pride in that and I think it shines through. 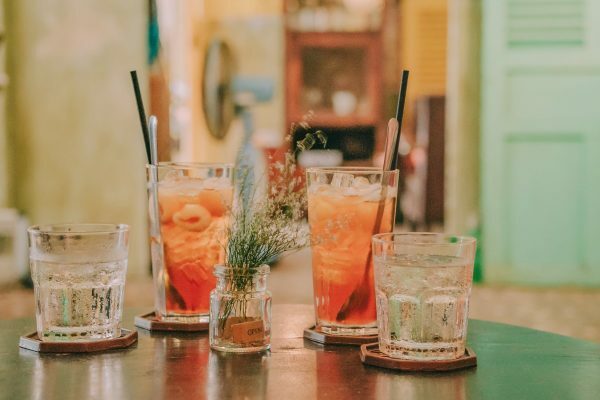 Many people can be misled with public opinion that vodka doesn’t have any particular taste. What is the taste of well-produced, high quality vodka? Clique Vodka is crafted in the beautiful Baltic Region of North Eastern Europe by fine vodka Artisans in the country of Latvia. Clique combines Russian production standards of distillation and the highest level of Russian equipment. The natural spring water of the vast Latvian forestry sets Clique apart with incredible body texture and smoothness. Clique combines the amazing Russian quality and tradition with natural artesian water of Latvia and the finest premium wheat grains grown in Europe. The end result is a product that cannot be matched in quality and smoothness anywhere in the world. Crafting vodka is an intricate art form that has been refined and perfected dating all the way back to the 8th century. Creating an award winning vodka does not come by accident nor luck. The road less traveled is traveled less as it presents unforeseen difficulties including very restrictive barriers of entry. United States domestic vodka crafting presents a much easier route than that of what has been less traveled, but, what lies at the end of that less traveled road makes it worth the journey. That is what lead us to the little known land of Latvia. You wouldn’t travel to Colorado to acquire a premium-grade tequila and the same goes for many other spirits. Certain regions of the world present the ideal conditions needed for crafting the best product. Latvia sits in the heart of what is known as the Vodka Belt. The Vodka Belt is a group of countries that have very rich independent cultures dedicated to the traditional methods of distilling. Also included within are the Nordic states of Finland, Norway, Iceland, Sweden, and Greenland, the Baltic states of Estonia and Lithuania, as well as Poland, Belarus, Ukraine, and of course, the vodka motherland of Russia. The Latvian landscape provides the rich forestry and fertile land necessary for producing the vital ingredients needed to create this internationally renowned and award winning spirit. The facade means nothing if not matched with a superior product. Coupled with the Russian standards of production perfected in Latvia over the course of 200+ years, matching the quality of this one-of-a-kind vodka is almost inconceivable. After tasting this triple column distilled vodka, it is difficult not to fall in love with the body, texture, and astounding smoothness of this exceptional combination. The misconception when tasting vodka is that it should be flavorless. First, take a tiny sip and let it roll around your mouth. Take note of the creamy texture, and exhale through your nose to enhance the crisp mineral qualities. Swallow, take the rest of the shot straight down, and experience the smooth after taste that defines Clique Vodka like no other. According to Clique Vodka official website, Nigeria soon will be another country where consumers will be able to find your brand. What reactions from consumers you are expecting? In your opinion, how different Nigeria market is comparing to USA or Puerto Rico? 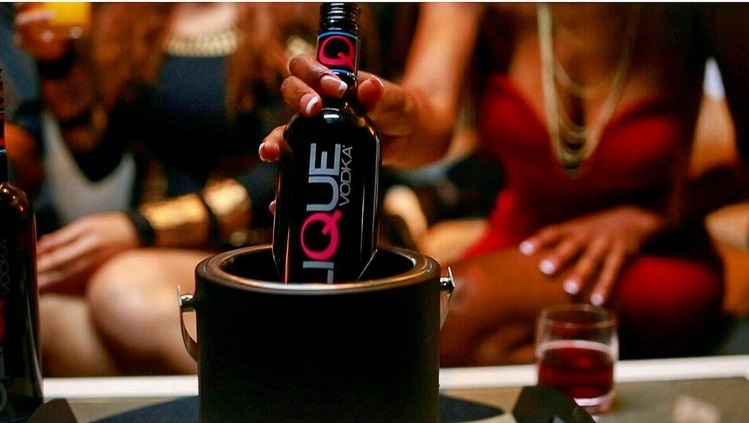 We are experiencing a surge in international interest with Clique Vodka right now. I think our reach is exponentially growing and with that comes inquiries and requests for the product in new areas overseas. The internet certainly knows how to get the word out when you have something worth talking about. But from what our affiliates in Africa are telling us they see a fantastic opportunity to diversify the vodka selection in that region with a product like Clique. The vodka field is much less saturated there than in the US and I think that goes for many international markets. So we look forward to giving them exactly what they want. A premium quality product with a different look that they can afford. As one of marketing campaign ,,New Black” elements were used black puma with pink eyes. What qualities does Clique Vodka shares with puma? The black leopard was an element that kind of grew along side the product when creating the marketing pieces. We like to focus on the fact that the black bottle stands apart from all the other clear and frosted bottles in the vodka arena. It has served us well in setting us apart from the competition. So when the opportunity came to shoot a visual piece to represent the brand immediately we want to portray a strong product that stands alone in its quality and perception. So we brought in a black leopard named Tred for the video shoot. It was an amazing experience and we captured a ton of priceless footage. Our marketing and branding team took what we had and really aligned the animal and the bottle to make them seamlessly coincide with one another. I think it is a great fit and a great representation of what Clique Vodka stands for, Strength, Beauty, Class and Uniqueness. 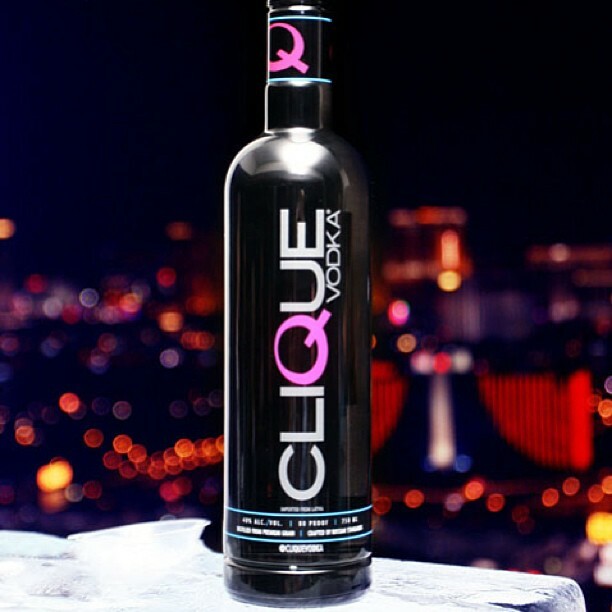 For more information about Clique Vodka visit their website.